Welcome to the first post in our “Featured Tool of the Month” series on Real Estate Websites! Follow us as we break down our software, pixel by pixel. Today’s post focuses on setting up a real estate website using Realeflow’s Website Builder. Last month we focused on using Realeflow for real estate lead generation. 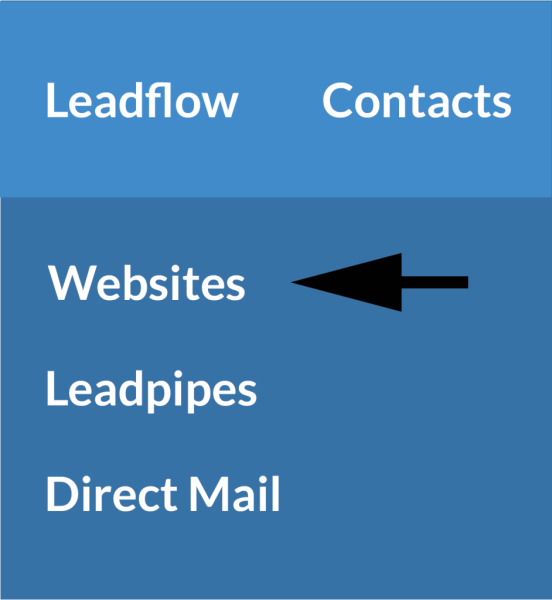 Those posts talked about the different lead types that Realeflow offers and the importance of each one for a growing real estate investing business. This month we are focusing on Realeflow's Real Estate Website Builder and how easy it is to set up a custom real estate website in under 3 minutes using Realeflow. I’m sure you already know that establishing a web-presence is a must-have in today’s business market. Without a website, your business is practically non-existent, especially to those who need your services most. Having a website is non-negotiable. You’ve got to have one and it’s got to be good. Whether you’re interested in setting up a main business website or multiple sites to target specific audiences, we’ve got your back. You can think of a Core Site as the main website for your business that talks about the services your company offers, business hours, location, team members, and may even list properties you have for sale. Squeeze Pages are websites that are designed to target a specific audience type and only has one call to action, which is typically for the visitor to enter their information in exchange for something of value. Core sites are valuable because they inform potential leads about the services your business provides and portray the overall image of your business. Your company’s Core Site should be considered the home base of your web presence. 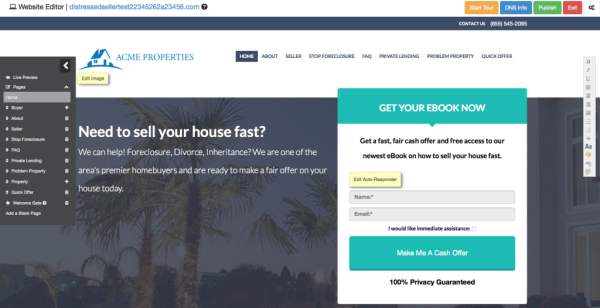 Squeeze Pages are very valuable when you want to target a specific audience, such as a specific type of seller or buyer, or even private lenders. Realeflow generates specific Squeeze Page templates based on the target audience you select in the set-up process. Every site can be paired with a professionally written content pack proven to engage target audiences and increase conversion. With nearly 50 content packs to choose from, there’s no copywriting needed to get your website set up and converting traffic to leads! All content packs can be used as-is or customized to best communicate your message to the market. Anytime a lead deposits their contact information into your website, a 10 step email series is initiated to deliver the pre-written eBook and follow-up with the potential client. Save time using our pre-loaded, audience specific auto-responders, or feel free to customize your own with personalized content and delivery timelines that best fit your business. Every website in Realeflow is designed with an Opt-in Box that allows leads to deposit their contact information directly to your Realeflow account. Once a new lead is deposited, you are automatically notified with an email. Any website set up in Realeflow is automatically optimized to deliver a positive experience across all mobile devices and tablets, increasing engagement and conversion. Realeflow’s professionally designed eye-catching templates are tested and proven to increase traffic and conversion. Beautiful templates coupled with engaging copy build brand recognition and effectively deliver your company’s message to the market. We understand that not every Real Estate Investor is a tech-wizard. We get it. So with that in mind, we’ve made Realeflow's real estate website builder process quick, easy, and, of course, user-friendly. Core Site – Main Business Website - this site will market your business name, brand, and image to new leads and potential customers. Your Core Site is important because it allows you to showcase the services your business can provide. Squeeze Page – Site targeting a Specific Audience (Private Lenders, Absentee Owners, Renters, etc.) with one call to action. When you choose your target audience during the set up process, a template will be suggested to reflect what will appeal to your selected audience. Choose your Target Audience – whose attention will you be looking to attract? Buyers, Sellers, Private Lenders? Design (Pick a template) – Select the website template that best suits your business and the message that you’re trying to convey. Settings – Any additional content that you want displayed on your site can be adjusted here, such as contact information and more. 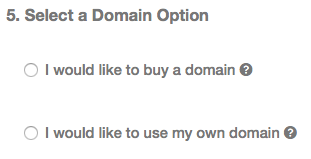 Domain – Purchase a domain name through Realeflow or feel free to use your own. Review – Review the template design, website copy, and specifics before publishing your site. (alterations to content can be made at anytime after site is published). If your business doesn’t have a website or if the website you have isn’t converting visitors to leads, it’s time to set up a website that's already been tested and proven to convert. While the thought of setting up a website may feel like a daunting task, Realeflow has now made it easier than ever to put your business on the web. 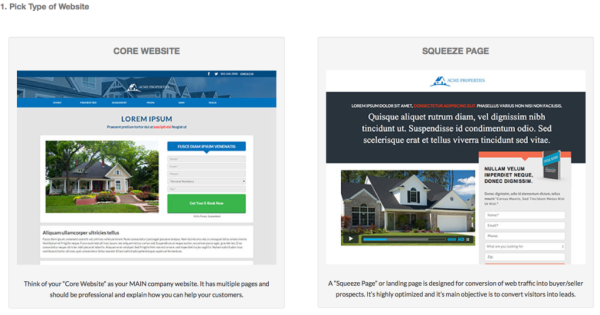 With a few clicks of your mouse, you can stylize numerous sites to reflect your business and market the services you provide as a real estate investor. Please leave a comment below with any questions or comments you have on using Realeflow to set up your business’ website. And be sure to check out next week’s post on the highly responsive website templates we offer!